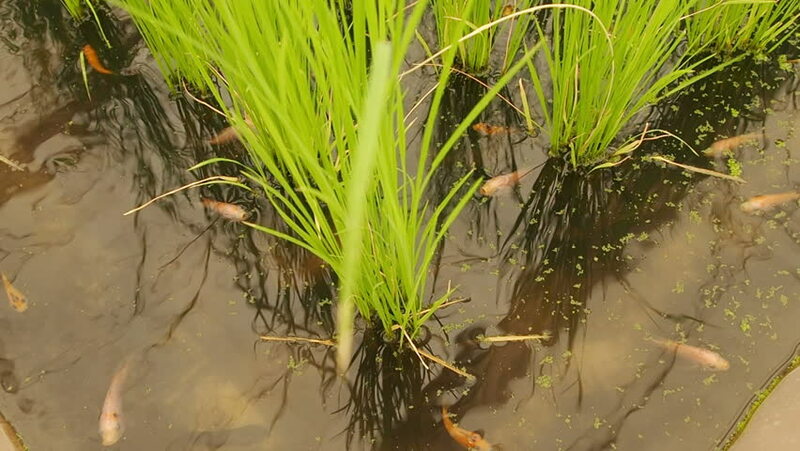 Camera tilt up, fish and green leaves rice field. sd00:11Leliyn (Edith Falls) waterfall and plunge pool flanked by pandanus. Edith Falls is a rugged area of the western escarpment of the Arnhem Land plateau in Australia's Northern Territory. hd00:06Corn, the field of corn with a ripe harvest of ears of grain crops.